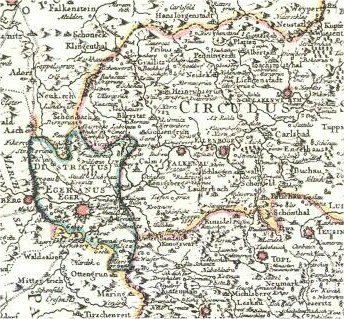 In 1547 the Graves family Schlick, as the owner of the district Elbogen, is fallen in unwill of the Bohemian King, because of untrust. After that the counties inside tend to separate from this district. 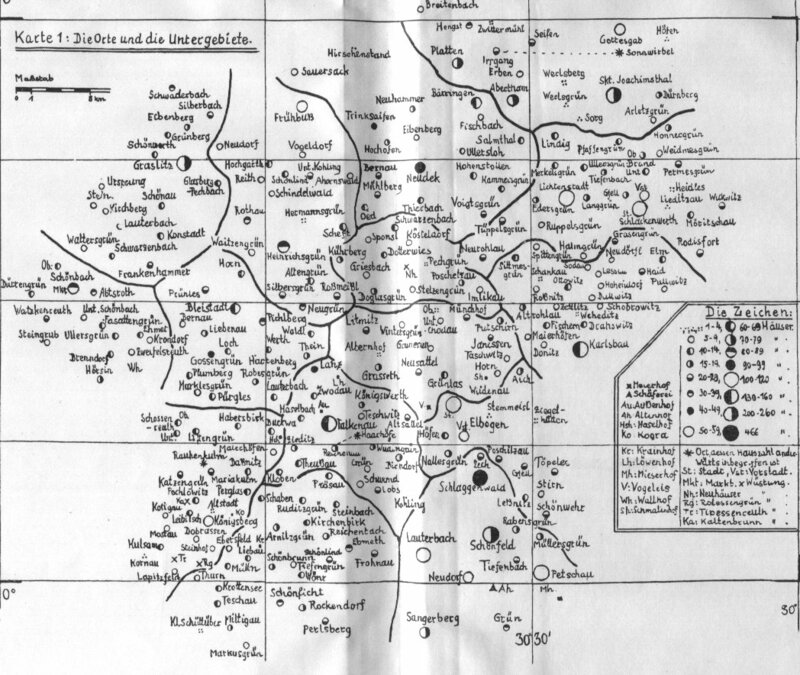 So the counties Heinrichsgrün, Neudek and Schlackenwerth going to the district Saaz, and county Falkenau to the district Pilsen. 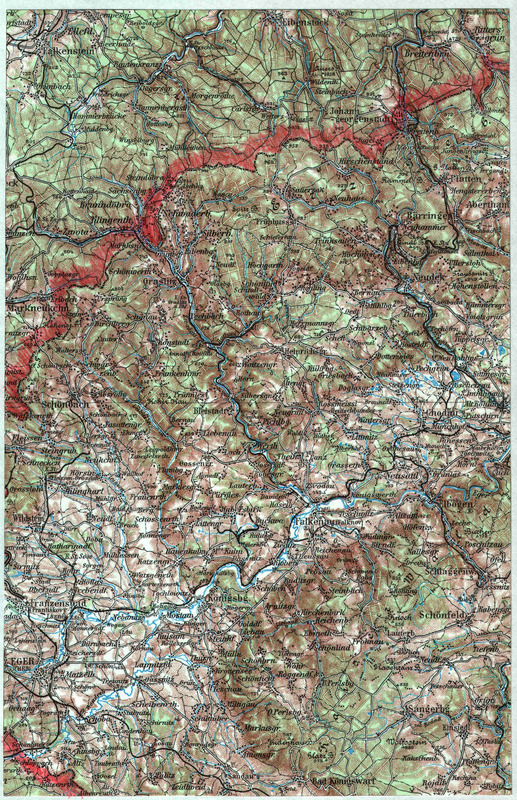 The district Elbogen as well as the district Eger were formaly border regions, which have layed outside of the Bohemian highness. 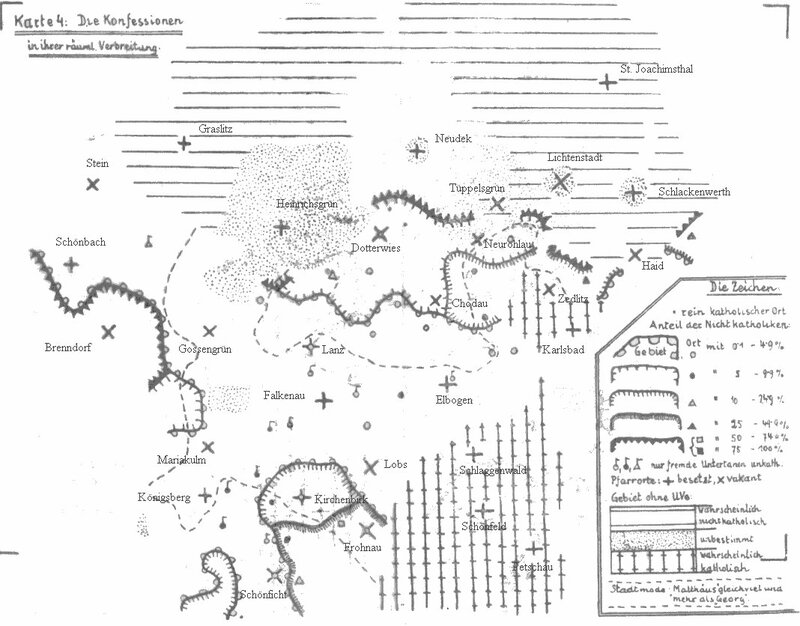 This shows also the after the pawning of the Egerland now sensless arming-orders for hofs (farms), half hofs and herbergs (harbours - quarter hof) (Schlick Urbar 1525). 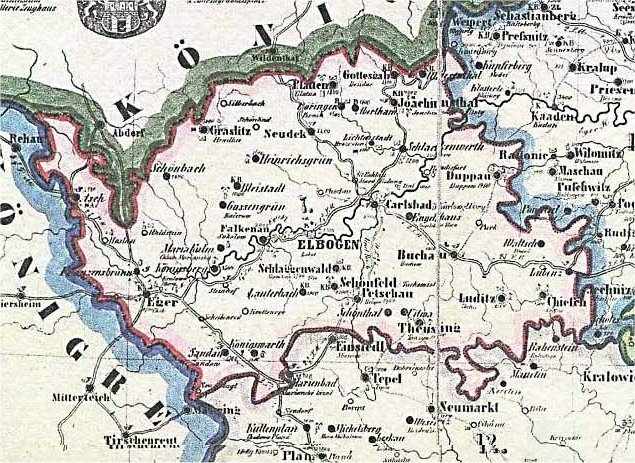 With the big privileg of 1341, which grants beside the legal sovereignty also an easy flat-rate tax, was the district Elbogen holden under Bohemian fief-highness. 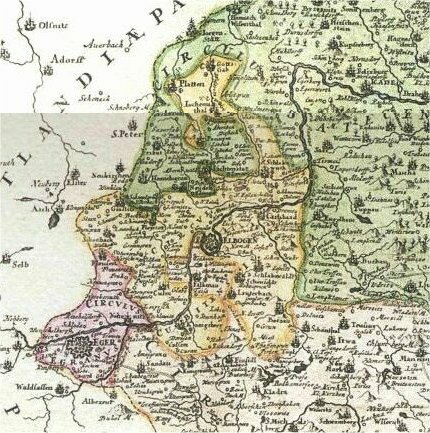 This tax privileg and administrative-technical decisions brought about 1652 Joachimsthal, Platten, Gottesgab, Bleistadt, Schlaggenwald, Schönfeld, Lauterbach, Graslitz and Petschau to destrict Elbogen. 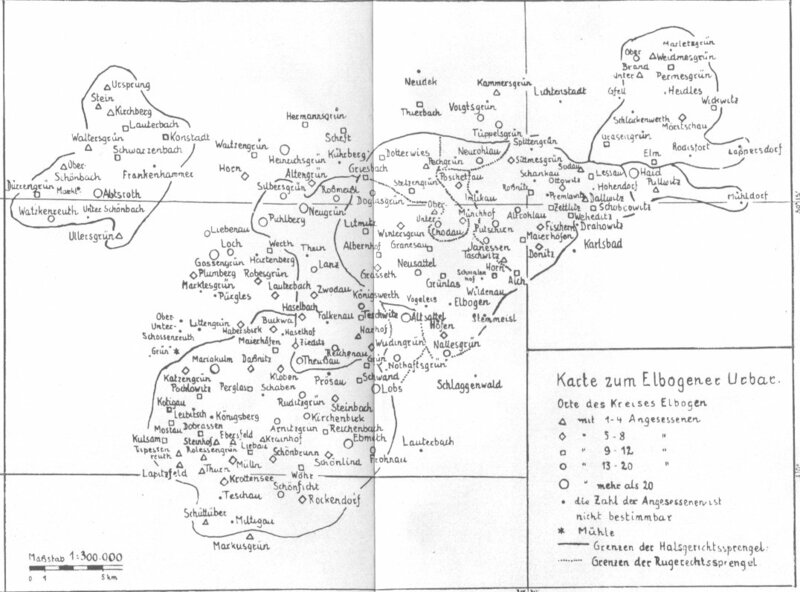 District Elbogen was 1714 disband and insert to district Saaz. 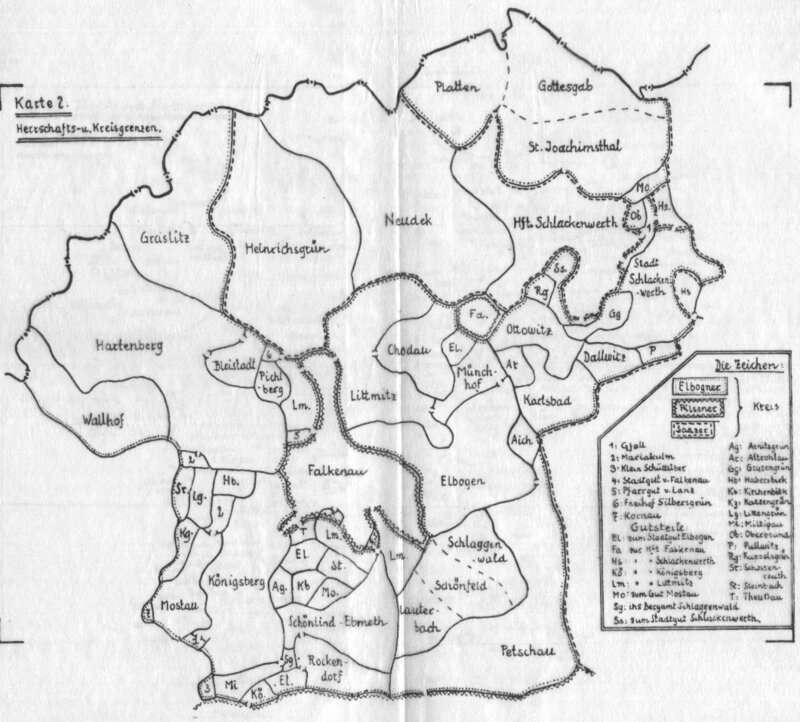 But in 1751 was build the district new with other arbitrary district borders.